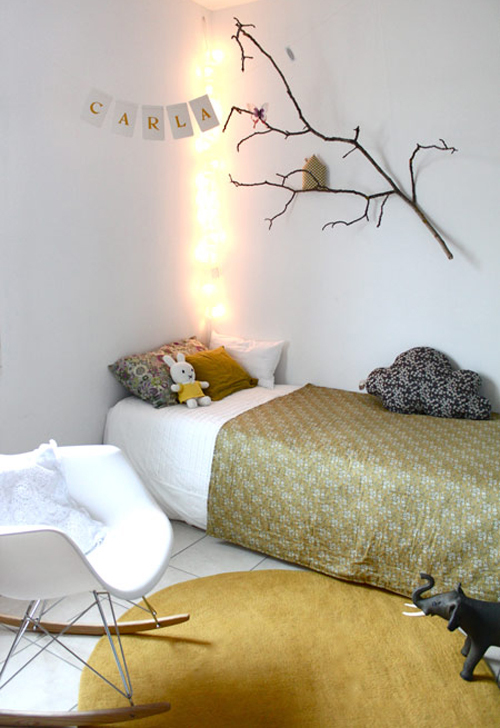 I think yellow is a great accent color for a boy’s or girl’s room. Above and below some examples of rooms where yellow is used for accessories (top image is from cinq mai). 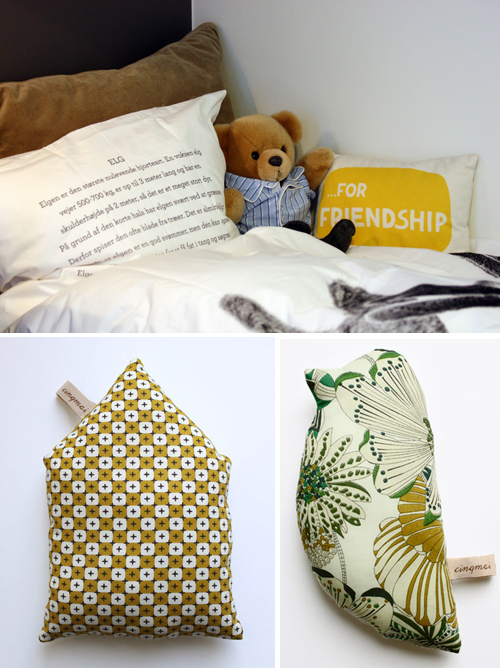 The adorable pillows are from CINQMAI. The image with the bear is from hvitt. 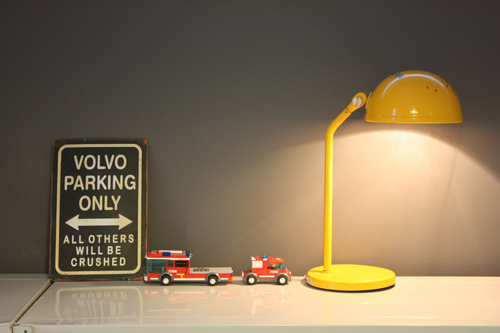 I like the yellow industrial style lamp, it gives the room some edge. The images above and below are both from hvitt. 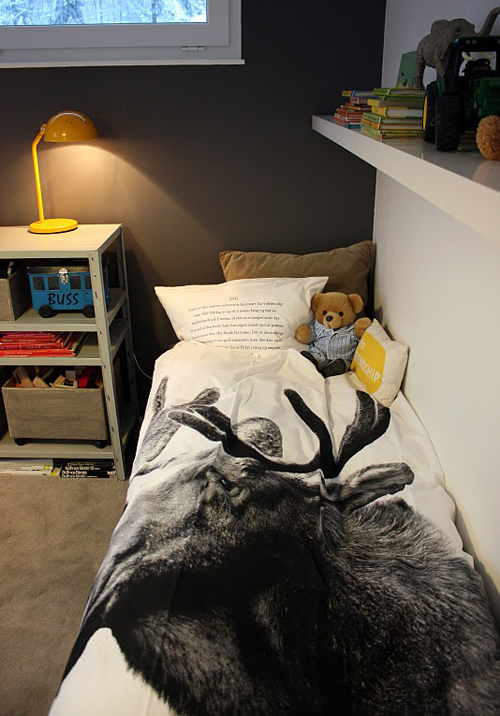 The lovely duvet cover with Moose print is from by nord. It is available here and here. So adorable…love the round rug in the first room!! I love it! Yellow is such a happy colour for kids and adults alike. I love the hues of yellow that you feature here. Great for kids rooms, but not that overly sweet baby yellow that I’ve seen in too many kids rooms. It’s still fun and playful, just a bit more sophisticated. I also love the yellow rug in the first photo, and the yellow lamp in the last image. Any idea where I can buy them? these rooms are adorable! i’d take any of them over my own any day! Ahh any thoughts on where one can get her hands on the Volvo sign? I LOVE it. oh, i’m so happy to see my image and my creation !! !